Symphony Nova Scotia, a fully-professional orchestra based in Halifax, is searching for a new Music Director who will create great musical experiences, enhance artistic excellence, inspire and engage audiences, and embrace Nova Scotia’s vibrant cultural community. Beginning in the 2018/19 concert season, the new Music Director will serve as the artistic leader and community ambassador for one of Canada’s most versatile and dynamic orchestras. Symphony Nova Scotia’s 37-member orchestra proudly performs music that reflects Nova Scotia’s diverse musical interests and history, combining classical masterworks, historically informed baroque, new compositions including commissions and Canadian works, and groundbreaking collaborations featuring artists from Nova Scotia’s rich pop, indie, and Celtic music scene. In recent years, Symphony Nova Scotia has enjoyed unprecedented community support and artistic growth under the thoughtful, informed, and inspirational leadership of its current Music Director, Bernhard Gueller. In his sixteen-year tenure with Symphony Nova Scotia, Maestro Gueller has supported the orchestra’s successes through his strong relationships with audiences, regard for musicians, and commitment to artistic and personal integrity. As Maestro Gueller’s successor, Symphony Nova Scotia’s new Music Director will share a commitment to these values, and a drive to maintain and grow the orchestra’s ongoing success and relevance within its community. Artistic: In consultation with the CEO, Board, and staff, the Music Director drives the orchestra’s artistic decisions and activities, including programming, guest artist selection, and special projects. The Music Director also serves as principal conductor for a significant portion of each season, conducting rehearsals, concerts, and community events. Administrative: The Music Director works closely with the CEO to lead Symphony Nova Scotia, both reporting directly to the Board of Directors. The Music Director makes artistic decisions within a set financial framework, and provides regular support to marketing and fundraising initiatives. Community: The Music Director participates actively, frequently, and directly in community engagement and outreach initiatives, embracing the cultivation and stewardship of patrons, media, funders, and community members. The Music Director is committed to raising the profile of the orchestra, expanding its audience, and ensuring its ongoing sustainability. Exceptional musicality. You are committed to a culture of consistent artistic excellence. You are a truly exceptional musician and orchestral conductor, with a proven track record and qualifications in orchestral leadership. You possess the ability to interpret and lead a variety of musical styles, supported by your excellent conducting technique, visionary leadership skills, and comprehensive knowledge of orchestras, instruments, and repertoire. Orchestral stewardship. You are able to lead and collaborate with musicians to ensure that Symphony Nova Scotia continues to maintain and increase its level of artistic excellence. You will conduct quality performances of a broad variety of repertoire, embrace challenging works, encourage stylistic flexibility and nuance, and continue to sharpen the skills of individual musicians and the orchestra as a whole. You will take on a mentorship role for our Conductor in Residence. You are comfortable working with an orchestra under the terms of a collective bargaining agreement, and you are committed to providing a positive professional experience for all musicians, treating them with fairness, collegiality, and respect. You will participate fully as a member of the Audition Committee when selecting new members of the orchestra. Audience engagement. You are a passionate and compelling musical communicator and interpreter, willing and able to engage publicly and personally with audiences. You are able to relate both to new and experienced listeners, and you will speak regularly from the stage to enhance the audience’s musical experience. You will also create and participate in other forms of audience engagement, and will work to deepen the community’s meaningful relationship with great music and with Symphony Nova Scotia. Diverse, exciting programming. 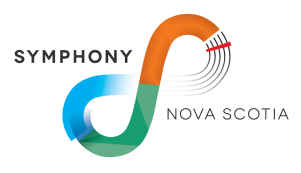 You will serve as the primary decision maker on Symphony Nova Scotia’s concert programming team, and you are comfortable working collaboratively with the Program Advisory Committee. You possess deep knowledge of artists and repertoire, and a strong commitment to Canadian composers and performers. Your programming decisions will balance risk-taking and audience preferences within a tight financial framework, and you are able to sustain creativity and musical diversity within the orchestra’s complement of instruments. Innovation. You will be a forward-thinking leader for the orchestra, championing contemporary music through performances and commissions of new works. You will develop innovative ways to present concerts to engage and attract audiences, and will conceive and carry out major new artistic projects. You are committed to generating the highest regional, national, and international profile for the orchestra through touring, recording, and the use of digital and social media. Collaboration for organizational sustainability and growth. You will work closely with the CEO, Board, and staff in creating and refining Symphony Nova Scotia’s business model and strategic plans. You will assume a creative leadership role within the organization, understanding the balance between artistic ambition and the limits of financial and human resources, and working closely with the CEO to build and manage appropriate annual budgets. In collaboration with Board and staff, you will be an active part of the Symphony’s fundraising and stewardship activities, using your position to build meaningful relationships with patrons, funders, partners, and donors. Community relationships. You will play a key role in enhancing community pride in, and connection with, Symphony Nova Scotia. You will work closely with staff and volunteers to steward and build a committed core audience, representative of the community as a whole. You will be a powerful and effective ambassador for Symphony Nova Scotia, capable of telling its story and generating support. You are willing and able to participate actively in the orchestra’s communications, marketing, and fundraising activities, and possess strong interpersonal skills including public speaking, the use of conventional and social media, and face-to-face contact with individuals and groups. Commitment to the community. You will demonstrate a genuine long-term commitment to Symphony Nova Scotia and to the community it represents. You will maintain an ongoing presence in Halifax, spending a significant amount of the year in residence, building a prominent public profile, and participating in musical and other aspects of community life. You will serve as a central figure in Halifax’s vibrant cultural community. Relevant education and experience. You possess a degree in music and appropriate experience as a conductor. If you are a highly qualified applicant, please submit a resume and a cover letter describing your interest in and qualifications for the position, as well as your personal artistic vision for Symphony Nova Scotia. Access to video and/or audio recordings of your conducting are highly desirable, if available. Nominations from third parties are also welcome. Submissions are expected by September 15, 2015. Applications should be submitted electronically to ceo@symphonyns.ca. While the new Music Director may commence responsibilities as early as the 2018/19 season, the position will remain open until the ideal candidate has been found. Qualified individuals of all nationalities are encouraged to apply, and Symphony Nova Scotia thanks all applicants for their interest. All applicants should indicate their status as a Canadian citizen or permanent resident, as defined by Citizenship and Immigration Canada. When choosing among candidates of equivalent qualifications, priority will be given to Canadian citizens and permanent residents. Symphony Nova Scotia is committed to the principles of employment equity in the workplace. 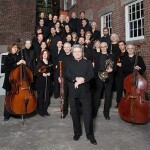 Symphony Nova Scotia is truly Nova Scotia’s orchestra, and the only fully-professional orchestra in Atlantic Canada. With a home base in Halifax and performances across the province, Symphony Nova Scotia reaches more than 50,000 Nova Scotians of all ages each year with some of the most innovative concerts and educational offerings in the country. Though Symphony Nova Scotia had its origins with the Halifax Symphony (1897-1908, 1955-1968), the Halifax Sinfoniette (1947-1955), and the Atlantic Symphony Orchestra (1968-1984), the orchestra as we know it began in 1983 with only 13 full-time musicians. Its growth in subsequent years was led by the visionary Austrian-born conductor Georg Tintner, who led the orchestra from 1987-1994, and served as Conductor Emeritus until 1999. Its current Music Director, Bernhard Gueller, joined the orchestra in 2002, and has led Symphony Nova Scotia through a period of unprecedented growth and audience support. Symphony Nova Scotia recently completed an extensive strategic planning process to set our path for the coming years. To see the full report, please click here. The orchestra also successfully negotiated a new collective bargaining agreement, committing to stability and growth through the 2018/19 concert season. With an annual budget of $4 million CAD, Symphony Nova Scotia is the largest employer in Nova Scotia’s cultural community, employing 37 musicians and ten administrative staff, along with over 150 contracted artistic, production and technical personnel. Its talented team has won many awards, including four East Coast Music Awards for classical music. Symphony Nova Scotia also places a high priority on community engagement and corporate social responsibility. Its education programs reach over 15,000 elementary, junior high, and senior high school students each year, and are presented alongside many accessible community programs, including a free family series, performances in local public libraries, and adult education classes. Symphony Nova Scotia is pleased to have close association with Dalhousie University’s Fountain School of Performing Arts and the Acadia University School of Music. Symphony Nova Scotia is proud to serve both the City of Halifax and the province of Nova Scotia. As one of Canada’s founding provinces, Nova Scotia possesses a rich musical history dating from the 18th century, and a deep appreciation of diverse musical artists and genres. Nova Scotia is home to one of the strongest Celtic music traditions in the world, launching international superstars like Natalie MacMaster, the Rankin Family, and Ashley MacIsaac. It has also served as a hub for folk music traditions, with homegrown artists like Rita MacNeil, Anne Murray, Stan Rogers, and Hank Snow. Today, Nova Scotia continues to be the home of some of Canada’s most prominent popular musicians, including Joel Plaskett, Buck 65, Sloan, Classified, and Rich Aucoin. Several prominent classical artists also call Nova Scotia home, including soprano Jane Archibald and soprano/conductor Barbara Hannigan. Symphony Nova Scotia enthusiastically embraces Nova Scotia’s rich musical heritage, and proudly presents Nova Scotia’s music to Nova Scotia’s people. With a population of 400,000, Halifax is the capital city of the province of Nova Scotia, Canada. It is a major economic centre in eastern Canada with a large concentration of government services and private sector companies. Major employers and economic generators include the Department of National Defence, Dalhousie University, the Halifax Shipyard, various levels of government, and the Port of Halifax. Agriculture, fishing, mining, forestry, and natural gas extraction are major resource industries found in the rural areas of the municipality. 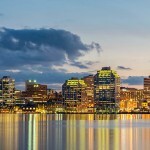 Halifax was ranked by MoneySense magazine as the fourth best place to live in Canada for 2012, placed first on a list of “large cities by quality of life” and placed second in a list of “large cities of the future”, both conducted by fDi Magazine for North and South American cities.